2) ASP.NET version .NET 1/2/3/3.5 and frame work 4.0. EverData Technologies Pvt. Ltd. provides a quick and easy solution to the problem by providing turnkey data infrastructure solutions that are low cost, fast, secure, and reliable with a 99.98% uptime guarantee. 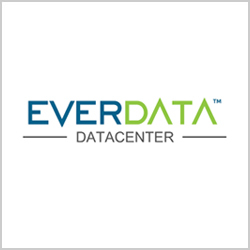 EverData solutions include public and private cloud, VPS and dedicated servers, shared hosting, colocation, disaster recovery and business continuity. To give you a peace of mind that your business is safe in their hands they will be there 24/7/365 to serve you. Grateful to Everdata technologies I am really grateful to Everdata Technologies for allowing me to develop my skills and expertise. In fact, it is the perfect blend of support and managed to learn from EverData that allowed me to grow as an entrepreneur and a skilled hosting reseller capable of handling various issues on my own! I am with EverData hosting company since 2012 and am fully satisfied with their services. They really know the pulse of their clients’ business and offer the unique solutions. In my case, I was actually guided by the best products suiting my business profile and website needs. It helped me to choose a more economical package (shared hosting instead of VPS) as I was a start-up had limited budget. The honesty, performance, and reliability are 3 main reasons why I am still with EverData. Since I have changed to EverData my site’s performance has started improving a great way. It is the efficiency of manpower that needs appreciation. The team coordination is great too that is reflected in after-sales services. No robots there- you talk to the real human beings who understand well and talk your languages. Great team to work with. As a seasoned entrepreneur, I was looking for a confident host that can offer a complete range of infrastructure and managerial support my business need. Everdata offers a large inventory of hosting plans to choose from and promises superb support by an in-house team. Besides, they offer an easy, user-friendly interface to manage various aspects of the website. If you are looking for a fairly priced hosting plan with purpose-specifi c tools then EverData is the best option for you. Good services by everdata and they also provide a reliable feature. Their support team is very knowledgeable and give good ideas for business development. 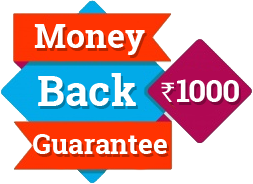 My website speed is also good and I am getting the good response from everdata.